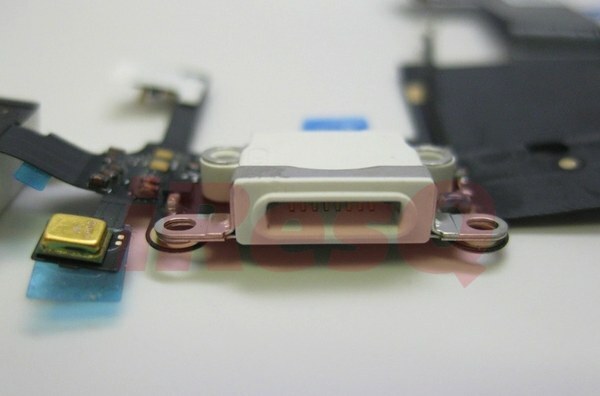 Up close and personal, that’s the view afforded by freshly leaked photos purportedly of the iPhone 5 and iPad mini dock connector. This new source — an iPhone, iPod, iPad and Mac repair service — has counted the gold pins and declared Apple’s upcoming dock connector has 8 pins, but the metal ring around the part also counts as a pin. Yup, that’s nine pins and very consistent with previously “leaked” images. Well, we’ve had iPhone 5 and iPad Mini parts for some time now, but we’ve decided that we’d like to share this with our faithful readers. In the first picture below, you’ll see two 8-pin dock connector [image above] and headphone jack assemblies for the Mini iPad on the left. 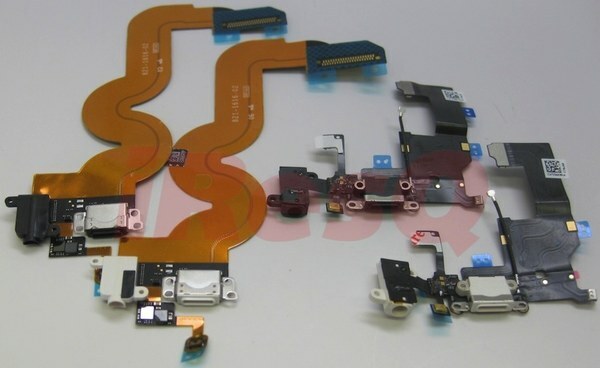 On the right, you’ll see two 8-pin dock connector and headphone jack assemblies for the iPhone 5 [image below]. The interesting thing here is these assemblies come in either black or white, suggesting a change in design for the devices — iResQ. That said, these photos look very similar if not technically the same as the iPhone and iPad mini dock connectors previously revealed on Tapscape. Another data point that has carried forward is the closeness of the dock connector to the headphone jack. Various sources, including Tapscape, have noted that Apple seems to be consolidating iPhone, iPod touch and iPad design — consistency is good for users and also Apple, which can save money on parts and service.